Treats to make your day enjoyable. 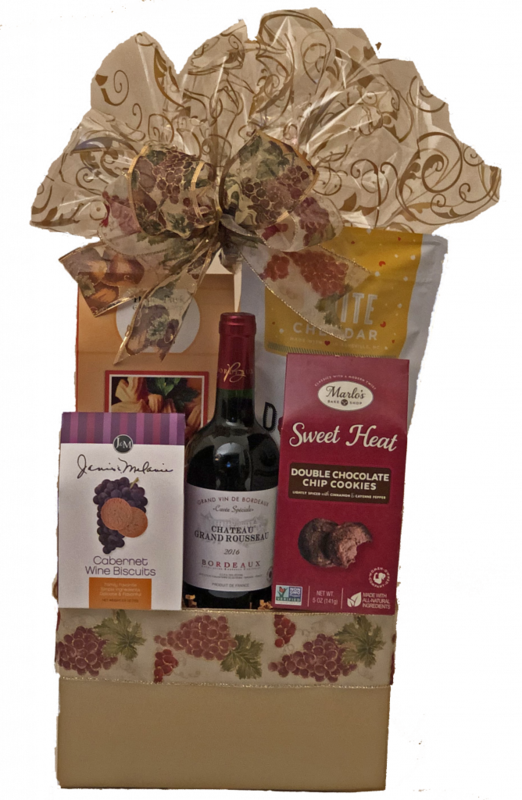 Included are delicious nuts, cookies, chips and chocolates and wine. Treats to make your day enjoyable. Included are delicious nuts, cookies, chips and chocolates.